It's Picture Book Idea of the Month. I signed up last year but didn't get very far and don't know where that little book is. I bought two books this year because I couldn't decide between them. I love the little one. It comes in many wonderful colors. 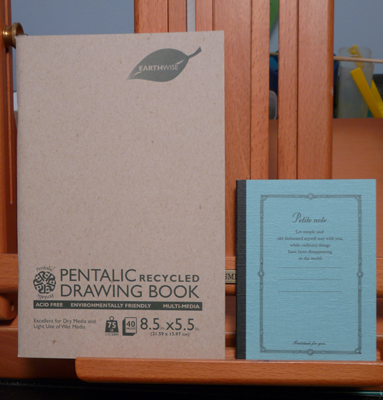 But I am going with the drawing book because the pages are blank and I can draw and write ideas.